When you are in need of the best, our professional and friendly staff is standing by to assist you. We perform our tree removal work quickly and efficiently while adhering to the highest standards of safety, at very competitive prices. Please contact us today if you have any questions or would like to make an appointment for service. To work near power wires either additional training is required for arborists or they need to be Qualified Line Clearance Arborist or Utility Arborists there may be different terminology for various countries. There is a variety of minimum distances that must be kept from power wires depending on voltage, however the common distance for low voltage lines in urban settings is 10 feet (about 3 metres). Arborists who climb (as not all do) can use a variety of techniques to ascend into the tree. The least invasive, and most popular technique used is to ascend on rope. When personal safety is an issue, or the tree is being removed, arborists may use ‘spikes’, (also known as ‘gaffs’ or ‘spurs’) attached to their chainsaw boots with straps to ascend and work. Spikes wound the tree, leaving small holes where each step has been. Arborists gain qualifications to practice arboriculture in a variety of ways and some arborists are more qualified than others. Experience working safely and effectively in and around trees is essential. 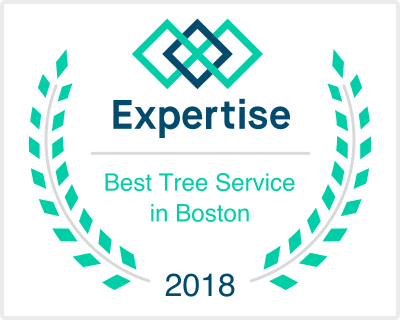 Arborists tend to specialize in one or more disciplines of arboriculture, such as diagnosis and treatment, climbing and pruning, cabling and lightning protection, or perhaps consultation and report writing. All these disciplines are related and some arborists are very well experienced in all areas of tree work, but not all arborists have the training or experience to properly practice every discipline. Many arborists choose to pursue formal certification, which is available in some countries and varies somewhat by location. An arborist who holds certification in one or more disciplines may be expected to participate in rigorous continuing education requirements to ensure continuous improvement of skills and techniques.